▶ An Introduction to JSON Data Types in PostgreSQL — We don’t often get a high quality videos in this newsletter and this isn’t as basic as the title suggests. A good one-stop-shop to get up to speed with working with JSON in Postgres. Audit Logging using JSONB in Postgres — A look at a way to use the JSONB data type to store auditing details using a trigger-based approach. In a followup post, Denish also looks at audit logging using Postgres partitioning. 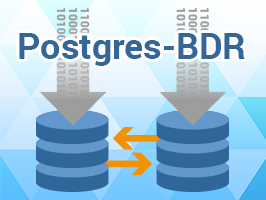 AlwaysOn Multi-master Replication for Distributed PostgreSQL — Postgres-BDR from 2ndQuadrant presents true high availability with Point-In-Time Recovery. BDR provides rolling upgrades, with zero downtime, for geographically distributed PostgreSQL databases. Integrating Tools to Manage Postgres in Production — What types of tools do you need to effectively run a Postgres instance in a production environment? Using PG11 Procedures for Batch Geocoding and Other Batch Processing — ANSI SQL’s CREATE PROCEDURE is coming to Postgres 11. Postgres Log Analysis with pgBadger — pgBadger is a open source PostgreSQL log analyzer that generates HTML reports. Streaming ETL in Practice with PostgreSQL, Apache Kafka, and KSQL — Have you thought you needed to be a programmer to do stream processing and build streaming data pipelines? Think again! Ask HN: Have You Ever Chosen Postgres Over Mongo and Regretted It? — Most of the comments suggest no, though Mongo’s schemaless nature can initially make prototypes faster to develop. E-Maj 2.3.0: Tracks Updates on Tables Sets with Rollback Capabilities — An extension that enables fine-grained write logging and time travel on database subsets. This new version supports Postgres 9.2 up to v11.